Gimme a break. . .Gimme a break. 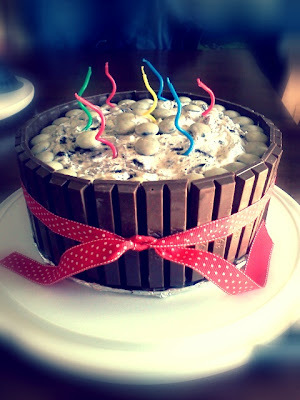 I spent my day making a Kit-Kat cake. (I hope you just sang the song to yourself.) At least it isn't a day late like last week.